ComputerPro sets up and maintains both wired and wireless computer networks for small businesses. Wired (Ethernet) networks are extremely reliable and economical for businesses with small number of desktop PCs. Wireless networks enable you to have a large number of diverse components with broadband (Internet) access. 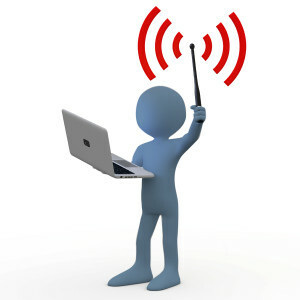 In practice, most businesses are set up with a combination of wired and wireless networks. Networks can also be set up in a client-server or peer-to-peer relationship. You probably have a peer-to-peer set up in your home, with each computer and device connected directly to the Internet as well as to each other. Windows workgroups are typical peer-to-peer network arrangements. However, peer-to-peer networks to do not provide much in the way of security and are adequate for no more than five or six users. In a client-server set up. your Internet connection is mediated by a centralized server or integrated group of servers. Servers must have a large computing capacity and a friendly Windows or Linux based operating system. Stand-alone servers provide increased reliability and allow you to expand your network in the future. They also provide a centralized solution for file and network security, backup, and data storage and software deployment. Servers can be configured to provide “virtual” versions of infrastructure resources, such as storage devices and network components, with multiple operating systems served by the same physical hardware. In addition to hardware-based networks, we also set up and host cloud-based networks.